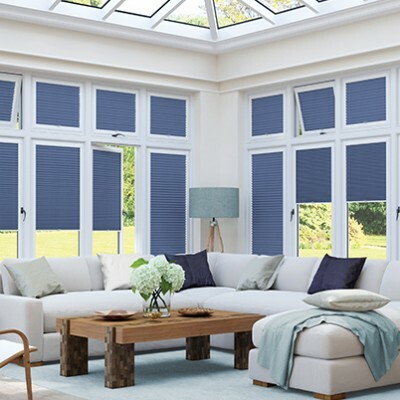 With a stunning collection from all the leading UK suppliers, our stunning collection contains a number of features that will assist your comfort and enjoyment. 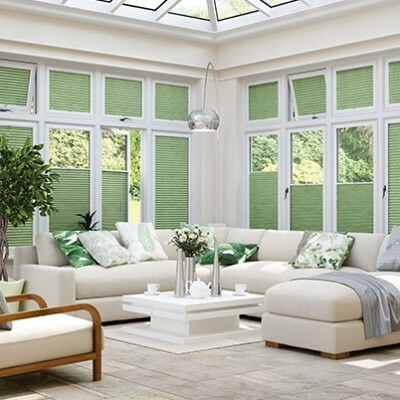 SPC (Solar protective coating) and SPF (Solar Pearlised Finish) treated fabrics have advanced solar and optical properties that will reflect and filter light to help reduce heat build up in your room. 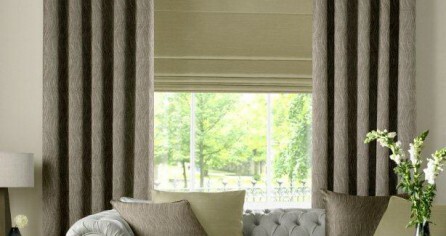 ESP fabrics create high quality blackout blinds. 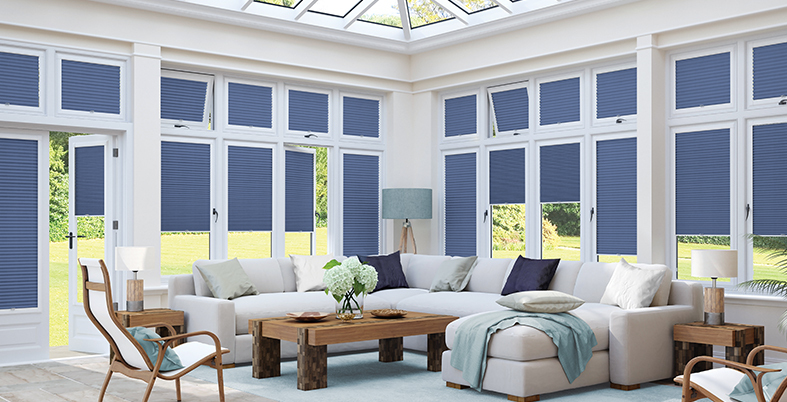 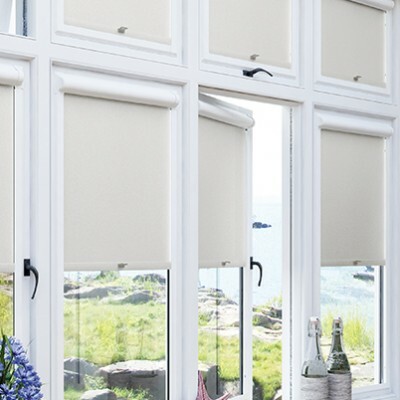 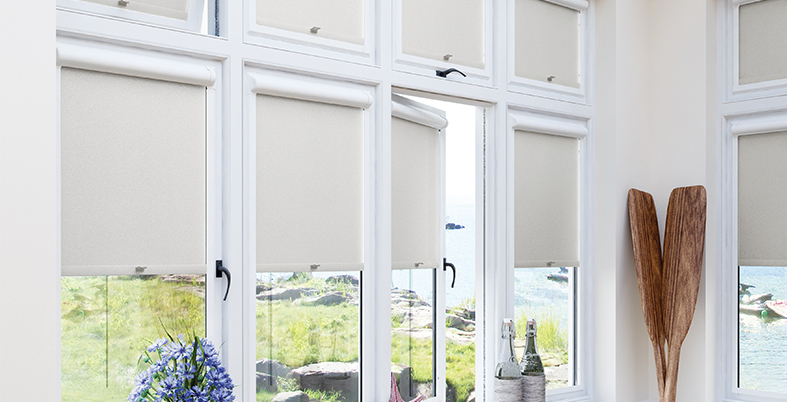 Our new cellular Hive collection provides a gorgeous finish with no punch holes in the material and offers the highest insulating properties of all blinds. 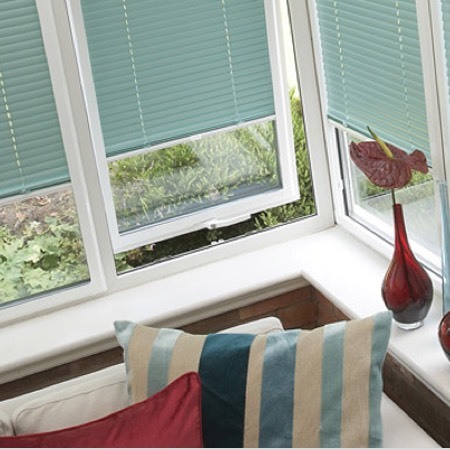 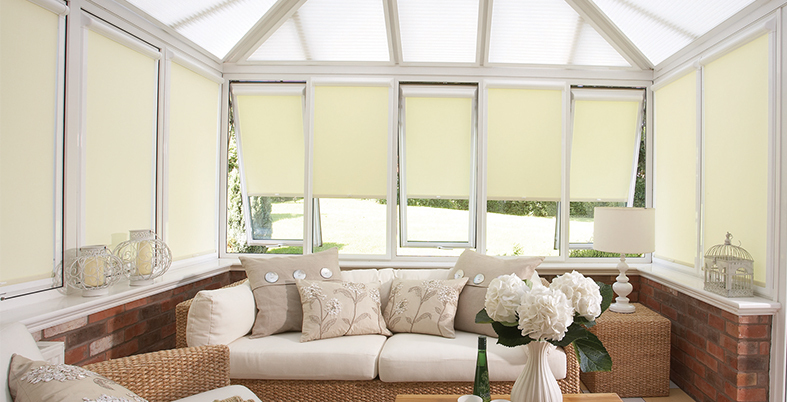 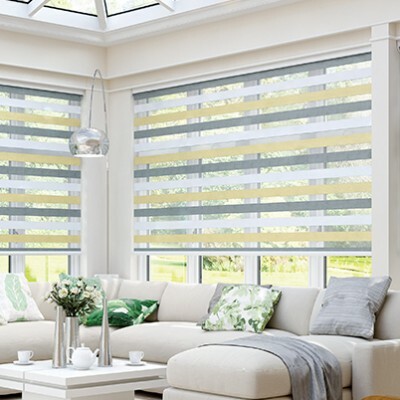 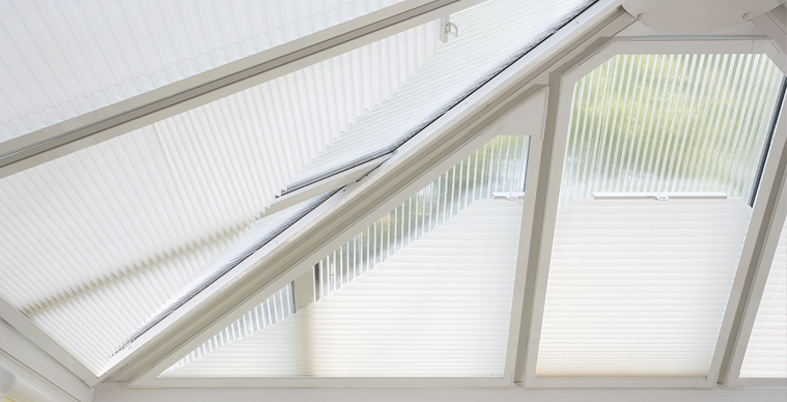 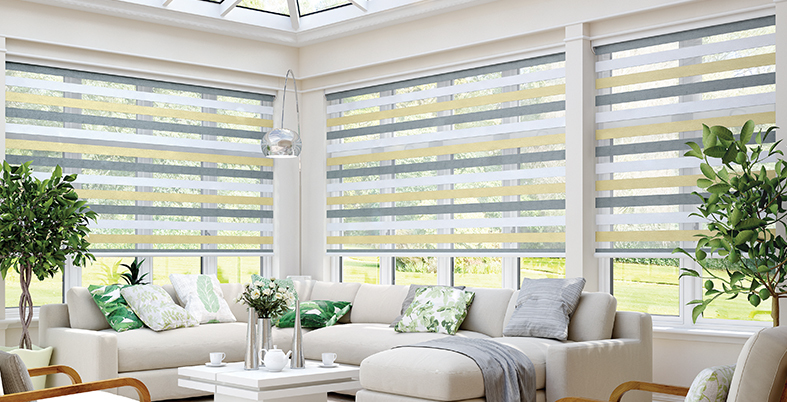 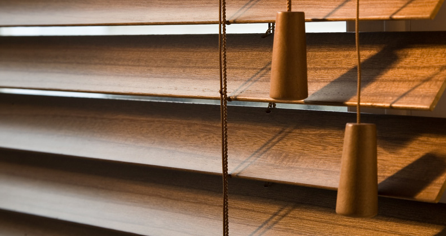 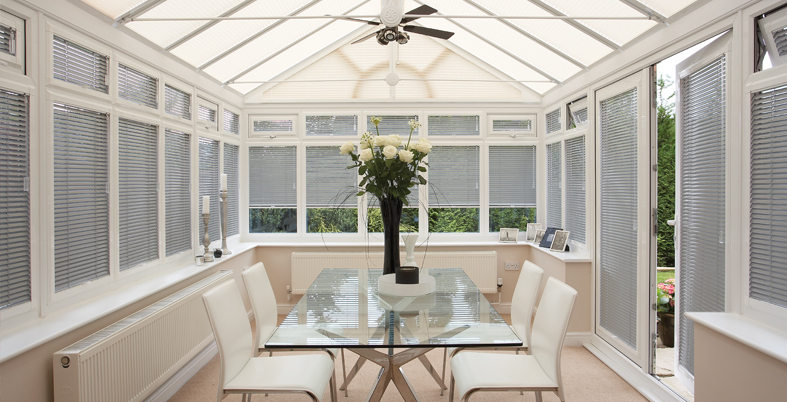 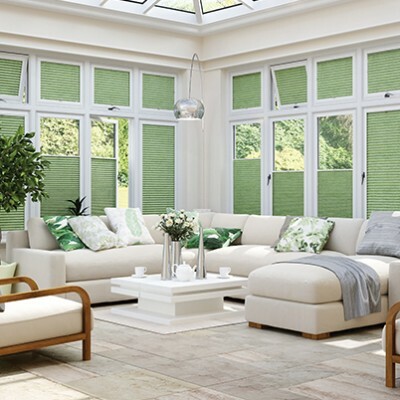 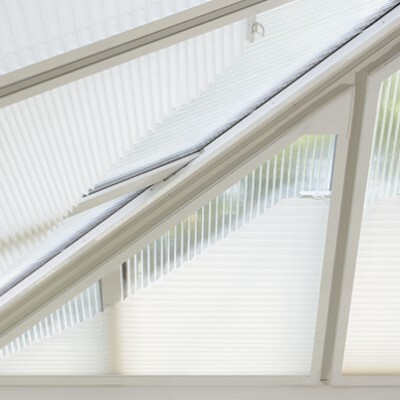 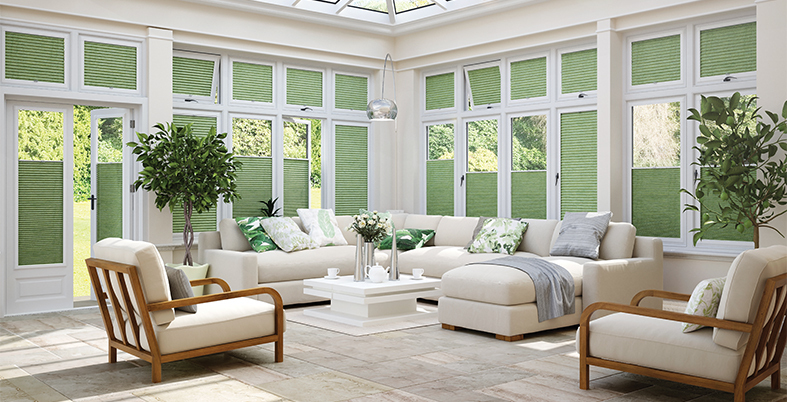 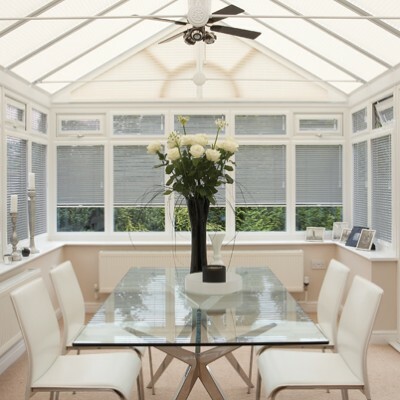 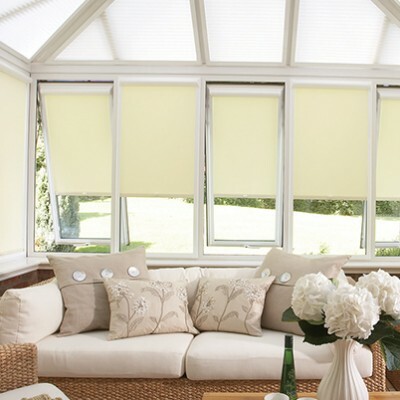 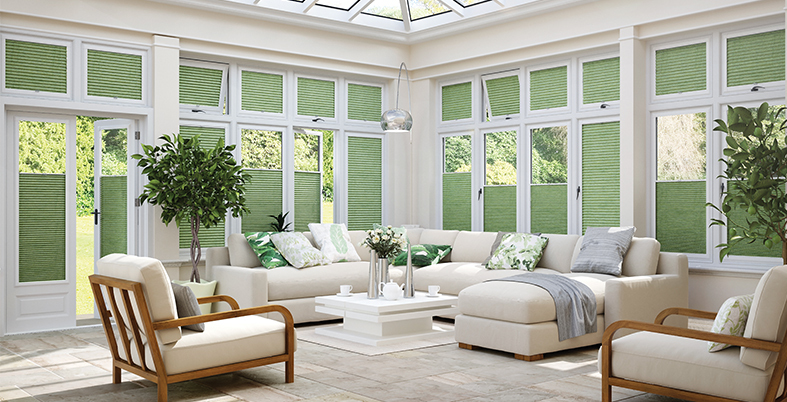 Also very popular in conservatories are vertical, roller and venetian blinds.